The newest addition to the iconic Stern collection of rock and roll machines honors one of the world’s foremost rock bands. Metallica’s notoriously fast tempos and aggressive musicianship sets the tone for an exciting player experience. 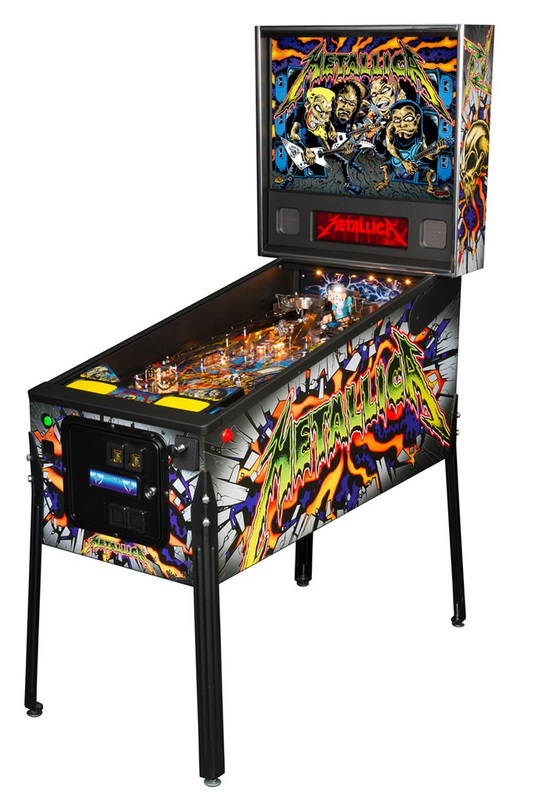 Players will be able to bang their heads and their flippers to 12 classic Metallica hits including “Master of Puppets,” “One” and “Fade to Black.” Other action-packed game features include an electric chair, snake, grave marker and unparalleled magnetic action.